1. The Mobile Spy Free Trial is no longer available. If you want to try a spy app before you buy, I recommend the Hoverwatch 3-day free trial. No credit card required. 2. If you are looking for a reliable, cost-effective cell phone spy software then Highster Mobile is for you! Mobile Spy offers a 7-day free trial, so you can give it a shot and see if it works for you. 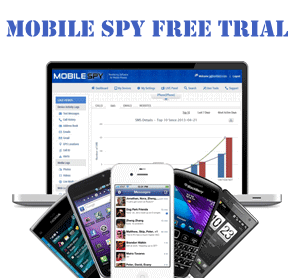 The trial version gives you access to all the features of the Mobile Spy app. If you like the app, you can upgrade to the Premium plan for $139.97 a year. 2. Create an account and log in to the online control panel. 3. Install Mobile Spy on the device you want to monitor. 4. Once you’ve installed the app, you use the Mobile Spy control panel to monitor the phone’s activities, locate the phone, or block any app on the phone. What do I get with this trial? Online Control Panel. View activity reports from any browser in real time. Full version of the app. Technical Support. Get expert support via email. I live in Australia. How do I install the spyware into a phone that is located in Indonesia?